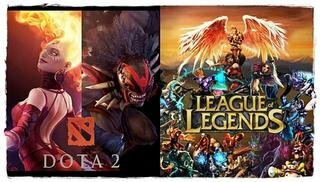 Hello to all the gamer community of steemit, today I would like to share with you all a great game that belongs to the genre "moba", I am motivated to do this post since I have been playing this video game for more than 3 years since its beta, I am in the capacity to share with you all this review of the characters that you have, but before that I will explain what is "moba" genre, and what game it is about. 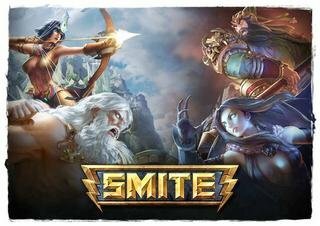 I'm sure many of the players when they mention the word "moba" the first thing that comes to mind is "DOTA" and "league of legend", but wait a second, the "moba" that I present below is called "SMITE". SMITE is an online battle multiplayer developed by Hi-Rez studios that unlike Dota and league of legend, has a perspective of your character in third person, Smite was the first video game "moba" in implementing this camera in third person. "Smite" as well as "dota and league of legend" has the same objective, which consists of destroying the enemy towers, the battlefield is developed depending on the game mode you select, there are maps where you can team with 5 or 3 players. The existing maps are Conquest (5v5), Joust (3v3), Duel (1v1), all these maps have a ranking system where you can show your skill level against other players and you are rewarded for your victories and the best of all is appear in "top" of the best players. Basically the game consists of defending your lane with the help of your minions and not letting the enemies knock down all your towers, level up killing the minions and gods of the opposing team. The roles that are used in (5v5) are support, AD carry, Wizard, Assassin, Warrior, this would be the most important map of all because it demands a lot of competitive level. Therefore to play Smite you need to develop skills, things like quick reflexes, good coordination, pointing skills and ability to choose your skills wisely and in the right order. As an interesting twist, Smite heroes are personified as gods of different mythologies. 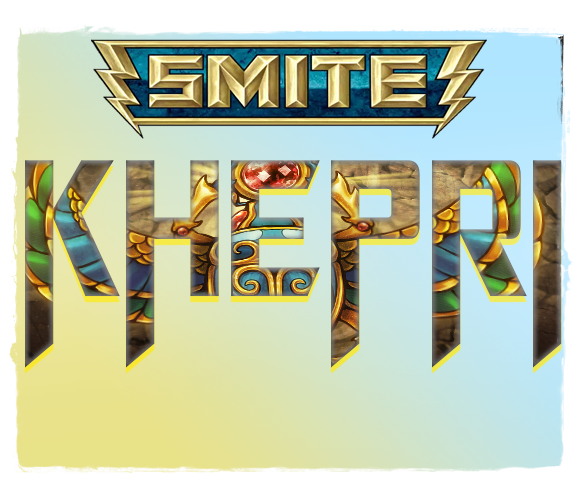 Without further ado, we begin with the review of our god Khepri. Khepri is a guard or magical support that belongs to the Egyptian pantheon, has a great control of its opponents, since it owns a root and a grip, not to mention the damage by seconds that can generate with its ability number 2, which makes special this god, is his ability to revive his allies with his ultimate ability. to have a better understanding of his abilities I will explain 1 by one including his passive of course. Khepri applies a shield to all members of his team near him and himself every 5 seconds, the shield increases maximum health by 2% for 15 seconds, can only accumulate up to a maximum of 10%, the shield is recharged more slow, if khepri enters combat. Khepri runs forward and hurts the minions and gods, but if there is an enemy god ahead he can grab it and drag it back. Damage: at level 1 (80) - Level 2 (130) - Level 3 (180) - Level 4 (230) - Level 5 (280) - (deals 40% magical power damage). Time to grab or pull: Level 1 (1.5 sec) - Level 2 (1.6 sec) - Level 3 (1.7 sec) - Level 4 (1.8 sec) - Level 5 (1.9 sec). 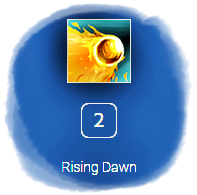 Skill number 2 (Rising Dawn). Khepri throws a ball of energy similar to the sun that sets fire to the enemy gods it hits. Reducing physical protections and doing damage per second. As long as the ability is active, the allies that are attacked receive a reduction of the damage that will be inflicted by the enemies. Damage: Level 1 (10) - Level 2 (13) - Level 3 (16) - Level 4 (19) - Level 5 (22) (+ 5% of your magic power every 0.3 seconds). Protection Debuff: at level 1 (5%) - Level 2 (10%) - Level 3 (15%) - Level 4 (20%) - Level 5 (25%). Harm reduction: at level 1 (10%) - Level 2 (15%) - Level 3 (20%) - Level 4 (25%) - Level 5 (30%). Duration of skill 3 seconds. 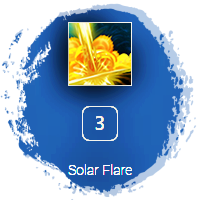 Skill number 3 (Solar Flare). 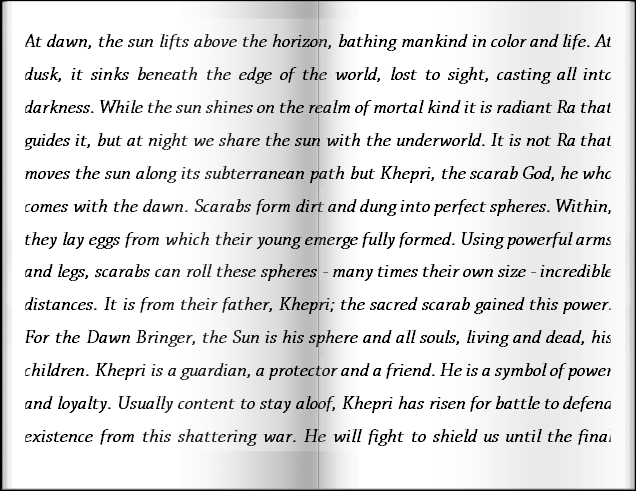 Khepri Summons a solar beam and if it hits an enemy, it paralyzes and damages the area. Damage: Level 1 (50) - Level 2 (100) - Level 3 (150) - Level 4 (200) - Level 5 (250) (+ 30% of your magic power). Duration of the paralysis: at level 1 (1.3 sec) - Level 2 (1.4 sec) - Level 3 (1.5 sec) - Level 4 (1.6 sec) - Level 5 (1.7 sec). 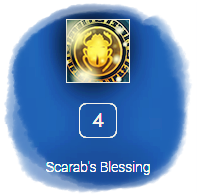 Skill number 4 (Scarab's Blessing) Definitive ability. 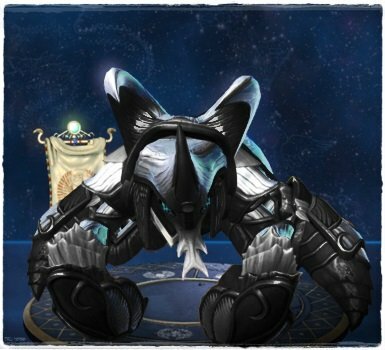 Khepri marks an ally and purifies them, frees them from any debuff and makes them immune to them and increases their speed of movement and immunity to slow effects. 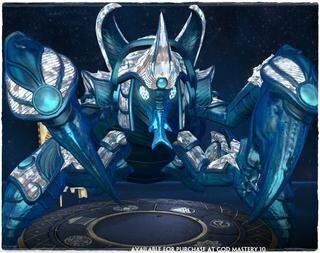 If a god allied with the brand dies, it will revive next to khepri with a percentage of its maximum life. Duration of the skill 5 seconds. Like other games Smite allows the use of different skins. There are several types of skin: tier 1, 2, 3, 4, 5 that can be purchased with the game currency you win with each win or with gems (it is the currency you buy with real money). There are also clan skin. And finally we have the skins of gold, legendary and diamonds. One of the things I really like about smite is that you can use voice pack of the gods to give orders and warnings to your allies, I usually play support gods and it comes incredibly great to me because it is very practical to use it. As mentioned earlier smite is video game moba in third person, and there is no camera view back so you will have to be careful, and make sure you have no one behind you. You must always be careful with your positioning, since there are gods with low health base, and being badly positioned would be very dangerous. However this case is different since our god in question is a Guardian and already has much life of base and defense, with a great individual control against an enemy god. 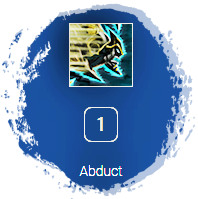 The combo I usually use is Skill number 3 (Solar Flare) to paralyze my enemy and later use Skill number 1 (Abduct), as it would be very easy to grab the paralyzed enemy, which probably guarantees a kill or much damage to enemy, but make sure you have an ally near you or this combo would not make sense. The correct way to use the latest Skill number 4 (Scarab's Blessing) would be to always try to have a vision of the game and always be aware of the life of your allies and if anyone is about to die, mark them and immediately run to a safe place. I regret to say this, but nothing is perfect, but there are 2 gods that make counter game to khepri, are thanatos and ao kuang. basically the ultimate ability of these 2 gods who execute their enemies can ignore the ultimate ability of khepri. 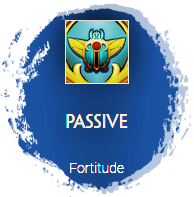 Khepri is undoubtedly one of the guards that is still used at competitive level, for all the above explained, not long ago I saw a tournament where they played with khepri and the god is even to the height with other guardians, even with gods specific to make counterplay to khepri, is still very strong. And if you got to this point of the post I hope you enjoyed this review and if you have not played yet give it a try. Hi @henryn2020 , This post has resteemed by @a-a-a-a over 2600 followers.Please Follow me and upvote this comment for future resteem your post. Thanks. Thanks, The great thing about smite is that you have all the control of your character and there is no auto attack.